Wholesale Print Belt Peace Sign in assorted sizes of 2 Small, 4 medium, 4 Large, 2 X-large. 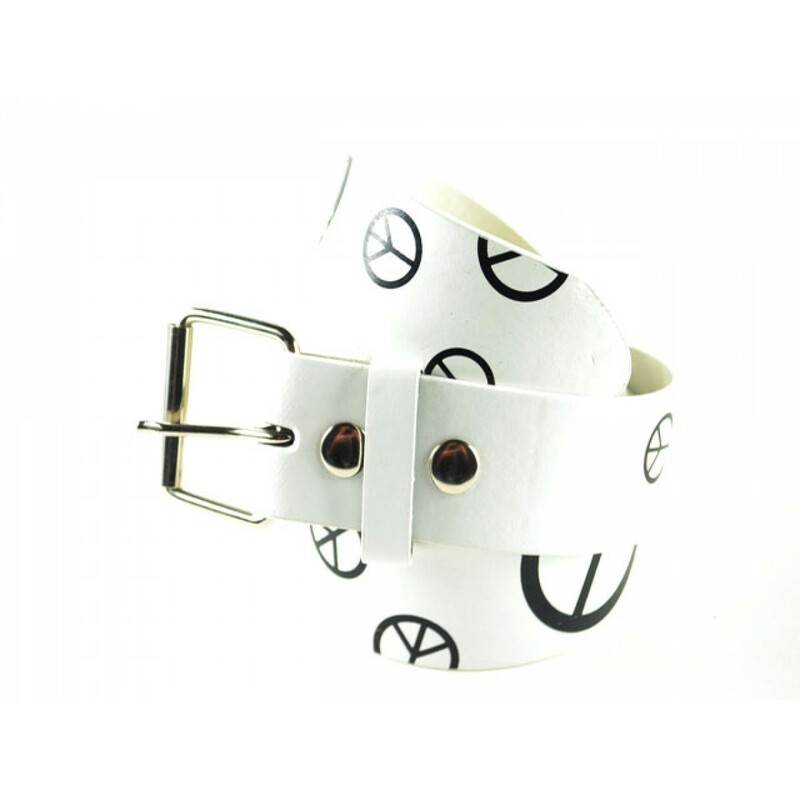 This belt is not available to purchase in individual sizes. The measurements of head o tip of the belts are Small = 38" , Medium = 42" , Large= 47" , X-Large = 51" This belt is not available to purchase in individual sizes.